Quizlet now has voice recognition for student practice! I’ve started up our long dormant Quizlet flashcard group. 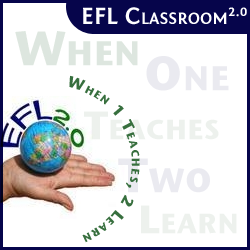 Even make your own flashcards and share them (use our ID/PW – eflclassroom/eflclassroom. I also highly recommend all the Quizlet quizzes on Gif Lingua. For any book, click “Study” and then “Quizlet”. They have moving images in the Quizlet study set for much better learning on the part of the students. Gifs really are the perfect language learning material/object. However even better, is to get your students play the Quizlet games online. Yes, you can print and cut out all the flashcards (this is superb!!!) but now with their new “speaking” component, there are more reasons for your students to practice online. Students can “speak” the flashcard word or sentence and try to make it disappear. Really works! Watch the tutorial I unprofessionally made – it does the job of introducing you to it. Then send your students to Quizlet for practice. This is cool — your voice has magic and what you say can make things happen! Previous story Contribute to the next blog carnival! Aloha. I am looking for digital flashcards that can be called up, by reciting the first word on each of the individual flashcards. Lee, I don’t know of any such thing. It’s very specialized and you might have to build it. 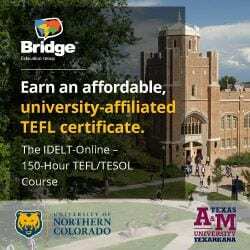 You might check out my site http://book.giflingua.com Each book has a set of flashcards to study the vocabulary and has audio support. Hello David. I followed your link and found the audio flashcard books very interesting. Which plugin are you using to do that? No plugin. It’s all coded by hand and uses API for Quizlet and also for students/teachers writing books, Flickr/Giphy APIs. Worksheets for teachers for each book and also will soon have youtube videos for each book also to extend the topic / learning. Idea is to be a blended site. Teachers can use books on any topic (over 2,000 already) as an extension to their existing in class teaching. Eventually I’ll open the Gif library of educational images to the public as a corpus. Thanks for the reply, David. Great video tutorial, by the way. Do you know if this voice recognition solution can be (easily) used in other language learning websites? (With the exception of Rosetta Stone which has been doing this for ages now, I only came across Quizlet now). It’s a really cool feature and I’d love to be able to use/do it for my own site. Any idea how, by any chance? Thanks very much for sharing those tips! I’ll have to update this post because last year Andrew and Quizlet dropped the voice recognition feature. It’s a costly thing and lots of technical issues. They used a proprietary system from MIT/Harvard. Check out EnglishCentral, I’ve been building it with our team and we are the leaders in speech recognition from English language. Our system is proprietary and developed from the world leaders Nuance. Google has some out of the box stuff you can use but not so accurate – do a search for it. Many like Rosetta use this open source speech recognition. It’s got better over the years but not so good beyond being of use for native speakers and basic, gross errors. If you are talking about text to speech – can help and comment more. 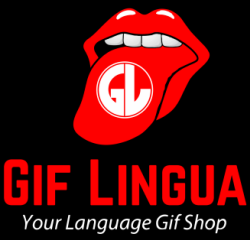 That’s what my site Gif Lingua has. Thanks, David, for the reply. I was curious about the QUizlet feature because I’ve been looking for it for half an hour this afternoon and wasn’t able to find it. Thanks for confirming my doubts. Is it what English Central does? Also, maybe I should disclose it now. I am into the French language business (native speaker myself) (but please pay no attention to this disclosure as I want to know if this is already available in English or even possible in that language.) 90% of my students are from English speaking countries and who knows, maybe someday, I’ll extend my reach into the English language field. But what works for English, I safely assume, should work for French. I only want to see what’s possible. Thanks for letting me know. I trully appreciate the pieces of information you’ve been willing to share. Thanks for your time. Oh by the way, it’s me Herman, not Anonymous who posted the last comment 🙂 Wasn’t signed in yet, I guess.